Me and stephan are working on the Minecraft server but some of the plugins we want aren't up to date yet which is a problem. We do are working on getting the plugins done that do work but that are just 3 plugins. This is why i want to ask if you allready want to build on the server its possoble when i am online and if you ask me f you can build on it. This is because i wont be hosting the server all the time, my internet cant handle that. If we allready get buildings there me and stephan cant start setting up shops etc that work with plugins. Everybody will be granted the creative playmode to build but this will be changed when the server is done and is hosted by i dont know who. This is also a question i want to ask, who will be hostig the server when me and stephan are done? sounds good, keep it up. I'm willing to do so, but not just on my own. UPDATE: The spawn is nearly finished all made by myself, i do want to ask f people could help me building a town allready so me and stephan can start using the plugins and make shops etc. I forget to install a password-plugin. Thats really important, or everybody can use the Admin-accounts. And I dont know but: Did I install a plugin, to protect areas? Yes worldguard but i am going to install a plugin that has a lot of your plugins in it. That way we dont need tradecraft, commandbooks,... Anymore because its all in one. Guys! Tomorow me and Stephan will continue working on the spawn and its surrounding buildings. We would like to have some more people on to help us around. If you want to help us just contact agev on irc tomorow evening (7/01/2013), he will give you the ip. Please guys... we need more people to help build a little start town this is the only moment that somebody gets creative... :/ Please join and help me and stephan! Well a bit late - but do you guys still play minecraft? TigerMewX wrote: Well a bit late - but do you guys still play minecraft? 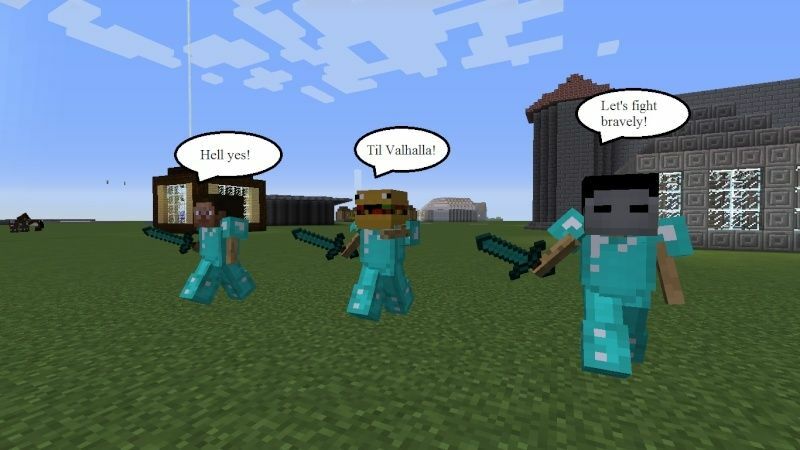 Lol element has an minecraft server?? Pati.B wrote: Lol element has an minecraft server?? as i said, i'm always on steam when i'm home. message me and we'll play for sure!